Last night, THOT and I were sitting at the coffee shop and playing cards. I’d grabbed a deck on my way out of the house. 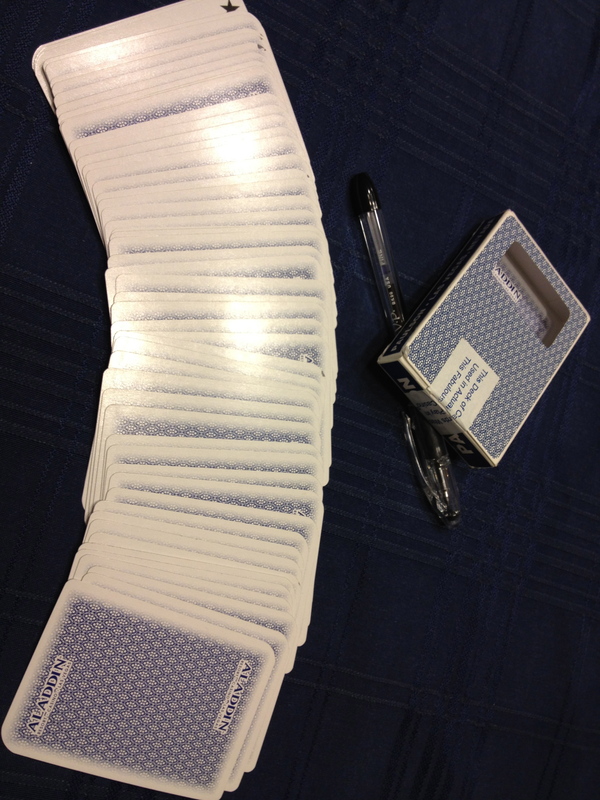 It turned out to be a sealed deck from a long-defunct casino in Las Vegas. Still sealed, mind you; it took a sharp blade to cut the tape on the flap to get at the cards. After we piled four 5s onto each other and set the stack aside, I drew a card from the deck. It was another 5. 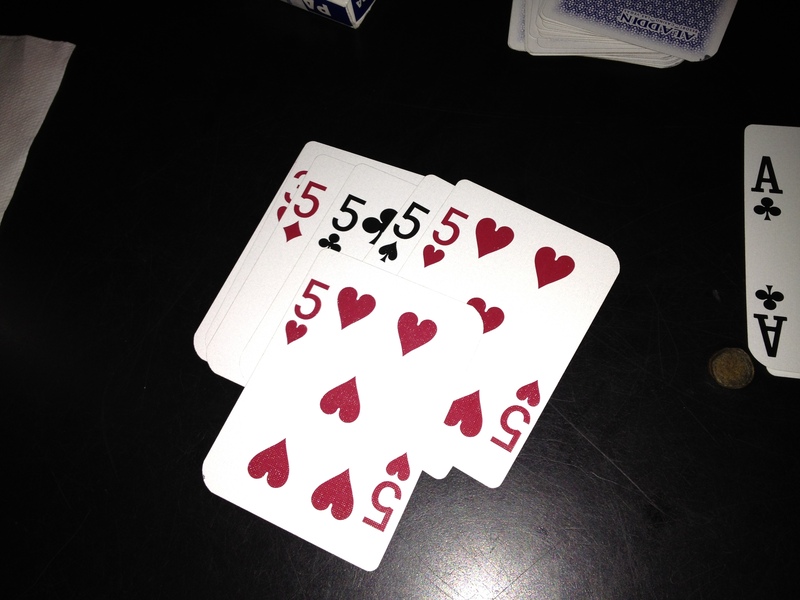 The 5 of hearts, to be specific. I started laughing to the point that I couldn’t even explain why and just flipped the FIFTH 5 over. THOT took one look at it and called, “Hax!! !” Nevermind that he’d been winning! Nevermind that it was a sealed deck! And from a casino, no less! (Of course, a casino that has been out of business for years… Makes you wonder a bit?) As if I’d somehow managed to magic up an extra card to toss into a deck (and have it be something harmless, like a 5 of all things)… But the rest of the deck was intact, so we kept playing. Funny, though, how my luck changed once we got rid of that 53rd card. HAX!!! Can’t let her out of your sight for a SECOND..